When and how did you first start playing rugby? What got you into it? Shelby: Freshman year at Harvard. I played soccer in high school and when I decided not to play for a varsity college program, I knew I needed something highly competitive and intense. At the activities fair I went straight to the rugby booth. Do you have a philosophy/mindset when you practice and play rugby? 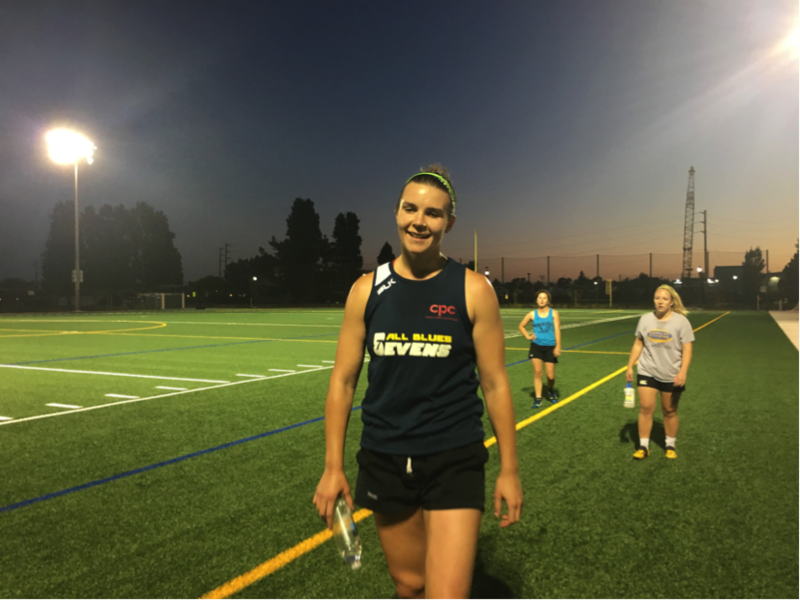 Shelby: I am always trying to create good, fast, free-flowing rugby - for myself and everyone I’m playing with and against. How did you first find out about the All Blues? Shelby: I moved out from NYC, and knew I wanted to play in the WPL. My first WPL nationals in 2015, I remember watching an amazing game between the All Blues and Glendale, I believe. This is my first real season as an All Blue! What is one of your best memories thus far as an All Blue? Shelby: Our first WPL game this season was a ton of fun; it was amazing to experience the gritty, no-holds-barred playing style of this team. I like the team’s truly welcoming atmosphere and the energy and positivity we have. Is there a particular player and/or coach that has influenced your development as a player? Shelby: I’ve had amazing luck with coaches throughout my career. Bryan Hamlin, former Providence head coach and NRU23s coach, was head of Radcliffe Rugby when it was a club team at Harvard my first few years, and let me talk my way into moving from the back 3 to flyhalf. Sue Parker coached Harvard in its first varsity year when I was a senior and encouraged me to make the move to scrumhalf if I wanted to play at a higher level. James English taught me how to really play the position from a tactical perspective and continues to mentor me to this day. Tiff Faaee modeled great leadership while captaining NYRC last year on our championship run. 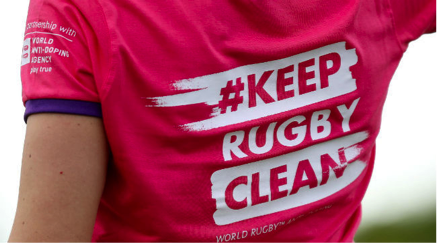 What is the best advice you have ever received about playing rugby? Shelby: Focus on developing your strengths (good advice for life, too). I think players can get really down on their weaknesses and spend a lot of energy addressing them, but when you think about great players they’re known for their particular strengths and skill sets, not for bringing their weaknesses up to mediocrity. Who’s your favorite rugby player/team to watch? 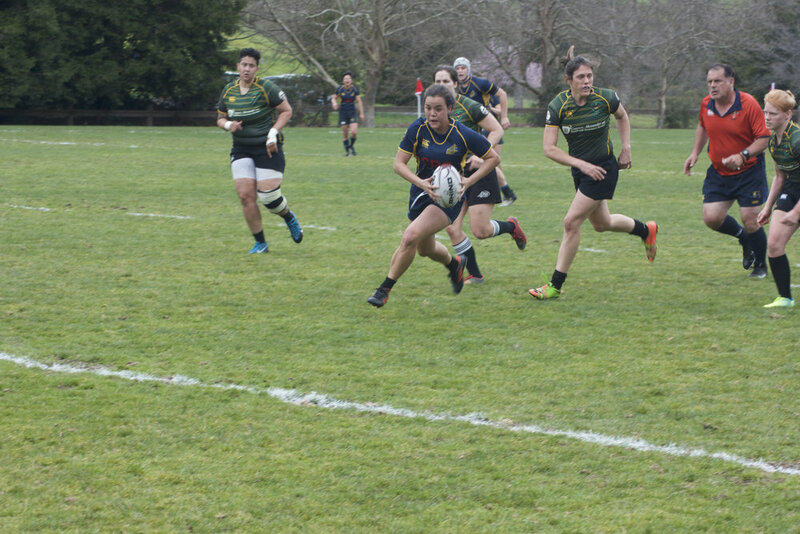 Shelby: Kendra Cocksedge, the Black Ferns scrumhalf, can single-handedly shape and direct a game like no other. I try and learn from Aaron Smith’s style of play. Faf de Klerk is always fun to watch since he is completely fearless on defense. What is your favorite non-rugby activity? Shelby: Sleep, closely followed by eating. If you were an ice cream flavor, which one would you be? Most memorable thing for which you’ve gone to Kangaroo Court for? Shelby: Booking a “roach palace” motel in Atlanta for the team. It was as bad as it sounds. DC: I showed up to college planning to join the sailing team, of all things. However, When I couldn’t decide between the two, my sister asked, “Well, who would you rather spend the next four years with? Sailors or ruggers?” That made the choice easy. Did you play any sports prior to rugby? DC: I ran the gambit as a kid, but by the time I was in high school, I was a competitive saber fencer. I even went to the Junior Olympics a few times. It was a great excuse to travel the country when I was supposed to be in school. Is there a particular player and/or coach that has influenced your development as a player? In what way(s) did they help you? DC: I’ve been super lucky to have lots of great coaches, so it’s hard to pick just one. When I played for the DC Furies 7s team, we made it to Nationals while I was still in college and definitely not on the same level as many of my teammates. However, the coach saw potential in me, so put me on the roster anyways. I got invaluable, high-level experience, and gained a lot of confidence in myself. I don’t think I’d be the same player today without that opportunity. How did you first find out about the All Blues? What made you come out here and join us? DC: The All Blues are legendary. I knew about them when I started playing on the East Coast, I continued to hear about them while playing in Arizona, and was thrilled when I moved close enough to be able to play with them. Do you have a philosophy/mindset when you practice and play rugby? Thinking about a game you thought went really well for you, how did you get your mind and body ready for that match? DC: Being in the right mindset is so important, and surprisingly difficult. Before a game, I used to just stay loose and joke around with my teammates, so I went into the game having fun. However, recently I’ve had to change that strategy to be a bit more focused. I spent all of last D2 season working to come up with the right strategy. Now I like to listen to my own music, visualize what I’m going to do, and decide on one or two personal goals for the game. Then, once I’m on the pitch, if I ever start to get unfocused or lazy, I just remind myself that if my teammates can keep going, so can I. What has been your most memorable time with the All Blues? DC: On the pitch, my favorite game was the D2 finals against SFGG. What we had been working on all season finally clicked into place, and we flowed really well. It was a very gratifying experience. Off the pitch, it’s hard to pick a single experience. Every time we travel, I get to bond with different teammates and always feel a bit more part of the team. It’s a really great culture that the All Blues have created. DC: It’s a bit of a rugby cliché at this point, but the best thing I’ve been told by a coach is that the only wrong choice is no choice, and any choice you make is the right one. When I first started playing, I was very timid, and would sometimes freeze up if I wasn’t sure what the best option was. That advice really helped me to make decisions and stick with them in games. DC getting low to go into contact, with teammate Bean in support during the most recent D2 season game vs. Life West Gladiatrix. What skills are you working on/would like to work on right now? DC: There are always a million and one things to work on, and often my problem is choosing just one or two to focus on. Right now, I’m working on my offloads – both receiving and giving, as well as my drop kicks, and overall communication on the pitch. What is your favorite non-rugby activity? Do you have any other passions besides rugby? DC: Does drinking coffee count? I really put my heart and soul into it, every day. Besides that, I love being outdoors. Camping, hiking, biking – you name it, I’m in.